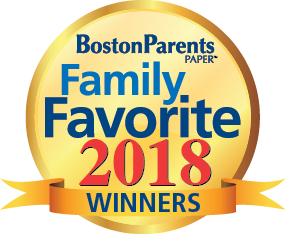 Olympia Fencing Center wins the 2018 Boston Parents Paper TOP 5 Sports Classes in Greater Boston and Massachusetts!! Fifth year in a row since 2014, our center has been a top choice for families – a great honor and pride and another trophy on our wall! 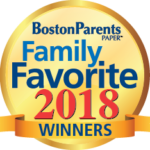 Classes and Enrichment Programs voted as Family Favorites throughout Boston, Massachusetts and New England are readers’ choice selection of family-friendly businesses and organizations offering classes and enrichment programs for kids throughout the Northeast. Our thanks go to ALL our coaches! Without their great passion for fencing, professionalism and loyalty, this wouldn’t have been possible: Lori Schmidt, Angelica Brisk, Shuang Meng, Scott Foster, George Scott, Julian Rueda Espinosa, Kai Zhao, Sean Qiao – in no particular order, because they’re all awesome! This entry was posted in Club News, Uncategorized and tagged bestfencingclubs, bestsportsclasses, Boston Parents Paper, fencing classes for kids, usfencing, weraisechampions. Bookmark the permalink.